Touch of Gold wins the 2017 Hackmatack Children’s Choice Book Award! Well, the votes are in and on May 5, 2017, I got a big surprise, and even bigger thrill, when Touch of Gold won the Hackmatack Children’s Choice Book Award for English Fiction. I’m so grateful to have been part of the Hackmatack Literary Program, especially the seven school visits I made to the Annapolis Valley and Cape Breton, Nova Scotia, to talk about my book and the writing life. The students I met were so welcoming and enthusiastic, and had such thoughtful and interesting questions and comments. It was a life-changing experience. Here is a photo of me with the wonderful students at one of the schools, Maupeltuewey Kina’matno’kuom (Membertou School) in Membertou, Cape Breton. I had the honour of being the first Hackmatack author to visit this Mi’kmaw school. Wela’lin! Now, after all the excitement, I’m once again hard at work on my second novel, the one mentioned in my last post that’s set at a horseback riding camp in Cole Harbour, Nova Scotia. Thanks for visiting, and please check back for more news soon! Hackmatack Award, Best Books for Kids & Teens, Woozles’ Battle of the Books, & More! Lots of news to catch up on! My recent trip to the Twin Cities of Minneapolis and St. Paul, Minnesota, included stops at Birchbark Books, The Red Balloon Bookshop, Common Good Books, and more. Just letting booksellers know that Touch of Gold is now available for in-store sales in the US, and that I’m a Minnesota native and would love to set up signing events when I’m in town. Please spread the word! I’m thrilled to report that Touch of Gold has been nominated for the Hackmatack Children’s Choice Book Award. This means that over the next year, children all over Atlantic Canada will be reading my book, and other nominated titles, and then will vote for their favorites. And just before the big vote in May 2017 I will go on tour, visiting schools in the region to talk with readers about Touch of Gold. I’m really looking forward to that, and am very grateful to the Hackmatack Committee for nominating my book. To read more about the Hackmatack Award, visit their website. I’m also excited that Touch of Gold is being featured in the Canadian Children’s Book Centre’s Best Books for Kids & Teens 2016. The CCBC is a national, not-for-profit organization that has been supporting and promoting Canadian children’s literature since 1976. It is an honor to be included in their guide to the best new books of the year. Thank you, CCBC! To read more about Best Books for Kids & Teens 2016, and the CCBC’s programs, visit their website. I’m delighted, too, that Touch of Gold is one of the titles selected for Woozles Bookstore’s popular Battle of the Books 2017. Every year, staff at Nova Scotia’s most popular children’s bookstore choose books from many different categories to include in the Battle. Woozles then invites schools to register and create teams of four students, who will compete against teams from other schools. The teams read all the books and are quizzed on their knowledge. The team that wins the most points answering questions about the books wins the Battle. Go teams! To read more about Battle of the Books, check out Woozles’ website and brochure. Finally, just in case you’re interested, I’ve also been hard at work on my second novel, another children’s book for ages 8 to 13. It’s set at a horse camp in Cole Harbour, Nova Scotia (right next door to my home city of Dartmouth), and involves some history, a mystery, and, of course, lots of horses! Stay tuned! Whew, that was a lot of news! Please check back for updates, and to find out how Touch of Gold fares in the Hackmatack Award vote and Woozles’ Battle of the Books. And thanks for keeping in touch! I’m happy to report that as of February 1, Touch of Gold can be ordered from independent and chain bookstores across the U.S., as well as online around the world. And in April you’ll be able to pick up copies on American bookstore shelves, so I’m planning a trip to Minnesota in May, where I hope to do some signing and reading events. Please get in touch if you would like me to hold an event at your favorite Twin Cities or nearby bookstore. Hope to see you in the Midwest in the spring! 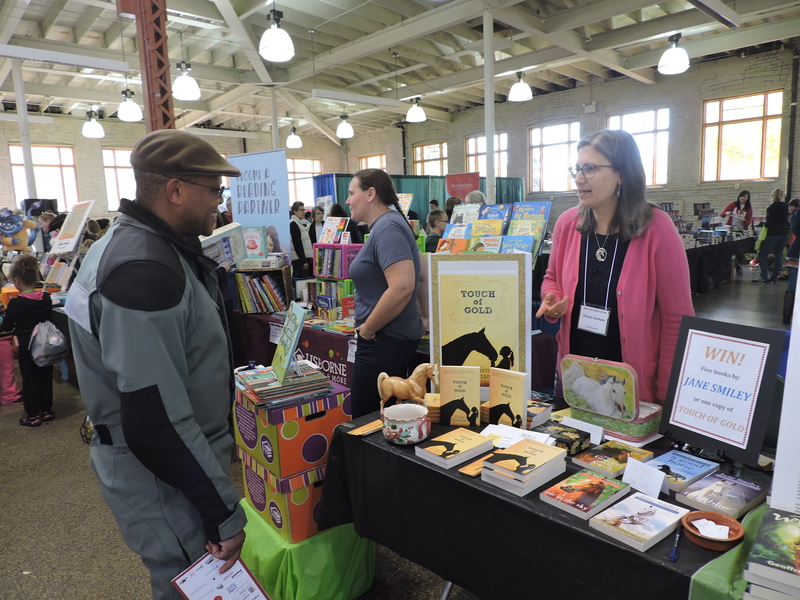 I’ll be attending the Twin Cities Book Festival, the largest literary event in the Upper Midwest, on Saturday, October 17, from 10:00am to 5:00pm, at the Minnesota State Fairgrounds in St. Paul. 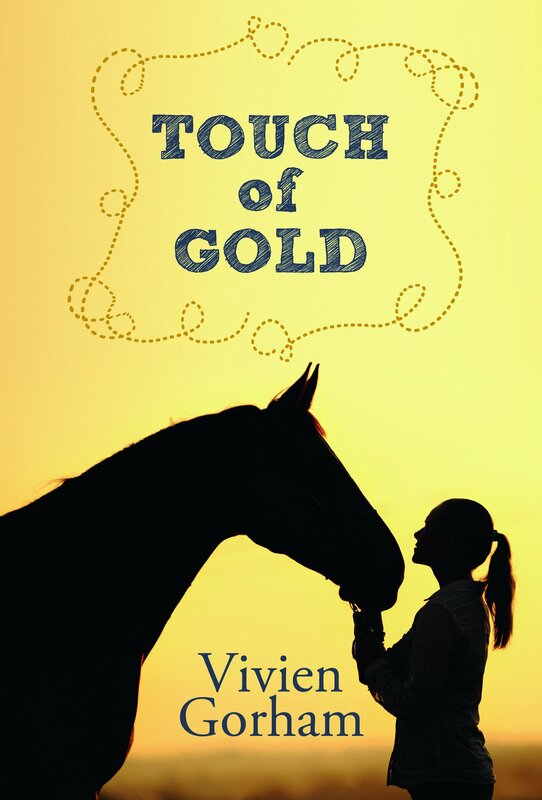 Please join me in the Middle-Grade Headquarters, where I’ll be featuring my novel, Touch of Gold, plus giveaways of Jane Smiley‘s 5-book series: The Horses of Oak Valley Ranch, Touch of Gold, bookmarks, and more. Hope to see you there! Book launch for Touch of Gold a great success! It was wonderful to see so many friends, family, and more at the launch last Saturday at Tattletales Books in Dartmouth, Nova Scotia. Thanks to all who attended and shared my big day, and to bookstore owner Anne Whebby for hosting the event in style. And to those who bought my book I am deeply grateful: your generosity helped me support Angela Welburn and the horses and other animals at Integrity’s Haven Equine (Animal) Rescue Centre in Chester Basin, NS, with a donation matching launch sales. You all made me very happy as I celebrate launching Touch of Gold into the world!